For millions of us here in New York City, taking the subway is a part of our daily lives. For some, if you’re lucky to get a seat, it’s a moment to catch up on sleep, while others choose to pass the time listening to music, playing video games or reading a newspaper, book or magazine. 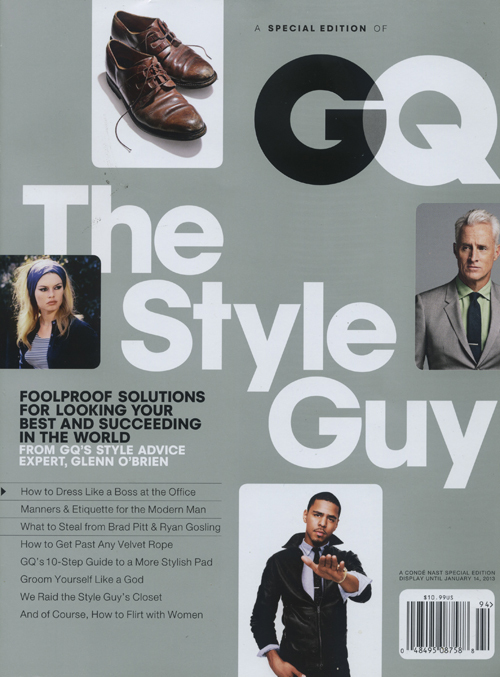 The other day I broke out the latest issue of GQ’s The Style Guy and I damn near jumped out of my seat. As usual, you can expect great style editorial; everything from suits, ties and accessories is covered in detail. There’s a good interview with Epic Records CEO and X Factor judge L.A. Reid and lots of humor in the form of rationally answering reader questions. What really stood out to me was the section on grooming. It’s not so much what they featured, it’s what GQ said. Many men have funny ideas about grooming. They see it as vain and perhaps feminine. Oddly, women don’t see male grooming as feminine at all, but civilized and desirable. It’s almost as if men see women as artifice and man as nature. They might think, “I can’t remove the fur from my back and shoulders. Nature put it there.” Please! This sort of passivity is hardly manly. A real man takes charge of his own destiny—including his body, hair and skin. If you haven’t already picked up a copy of this issue, do so and commit these words to memory. This entry was posted in Good Read and tagged GQ, GQ Style Guide, Grooming editorial, L.A. Reid, Men's grooming, mens fashion. Bookmark the permalink.